We work directly with the idea of the owner, the conceptual artist, or the architect. We elaborate and polish, together, a project that is the direct answer to the needs for light, colour and structure. 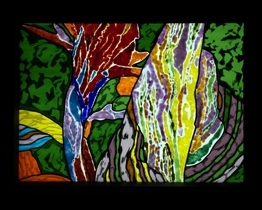 The stained glass is coloured dark or clear, sometimes depolished with acid, beveled or microsand-casted (on the engravings); other times it is put to the oven, either by deformation, drawing and colouration to obtain an infinite scale of colours and textures. 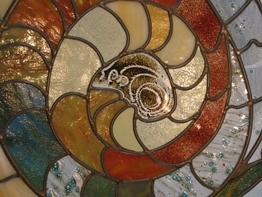 Depending on personal tastes, we also use the collage or glass fusion to present a unique result- which is always stunning.